I have been on the west coast for the past week and I absolutely do not want to go back! 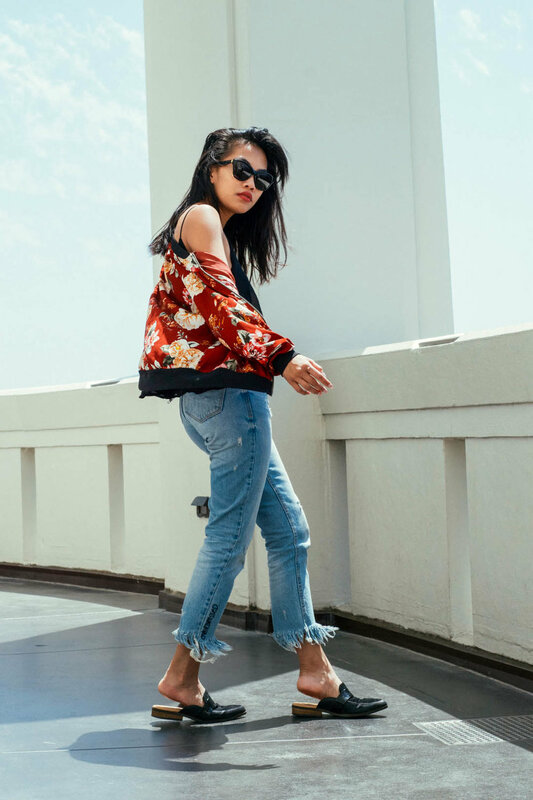 The whirlwind of travels and changing temperatures from Las Vegas to Los Angeles to San Diego and back to Las Vegas has got me grabbing for my favorite transitional staple piece: a floral printed bomber. Coast to coast, it's a summer to fall story. Hints of autumn and cooler weather fill the air and I could not be more excited. While the leaves and flowers teach us how beautiful it is to let go, I'll continue to wear the print in my wardrobe until the dead of winter. Fall dressing means light layers and I know I'll be topping off every ensemble with a bomber. 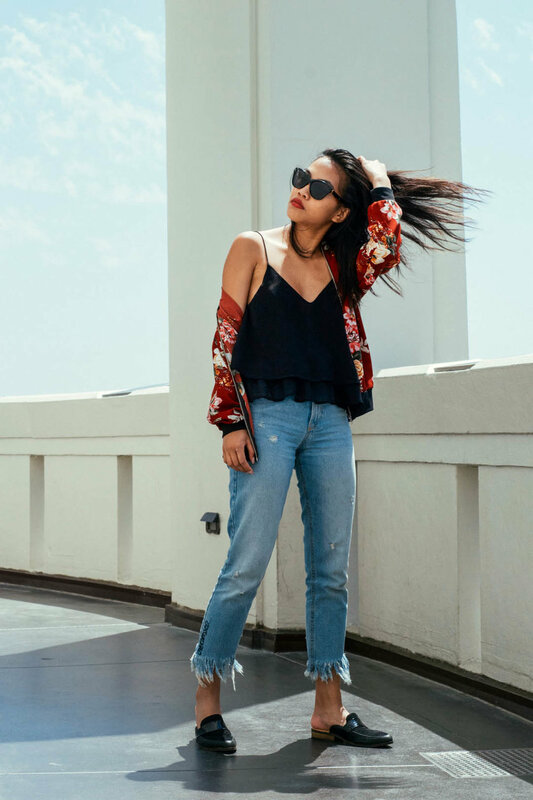 What are your summer to fall staple pieces?